Today I am sat in my new house, my 2 men ( boyfriend and dog) curled up on the sofa with me. I'm content. Today is the first night we will all be in the house together. We have been decoration the bedroom for the 2 weeks. We thought we should get that sorted before we move in. We have quite a bit of decorating left to do but nothing too big. Since getting the house and for some time before I've become a little bit obsessed with home decor. 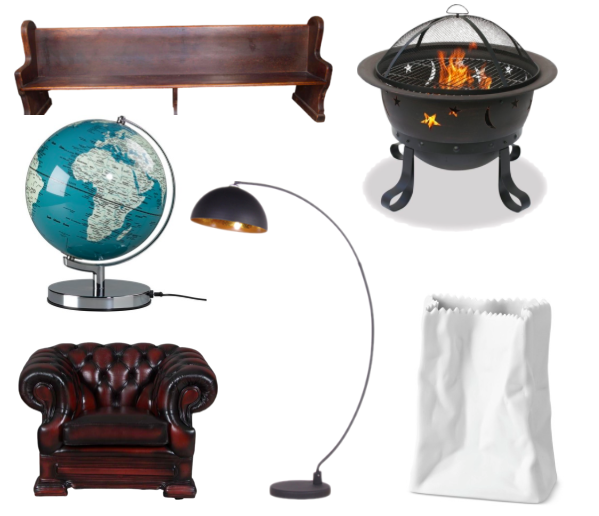 Both myself and my boyfriend have quite particular tastes and we have enjoyed shopping for things for the home. 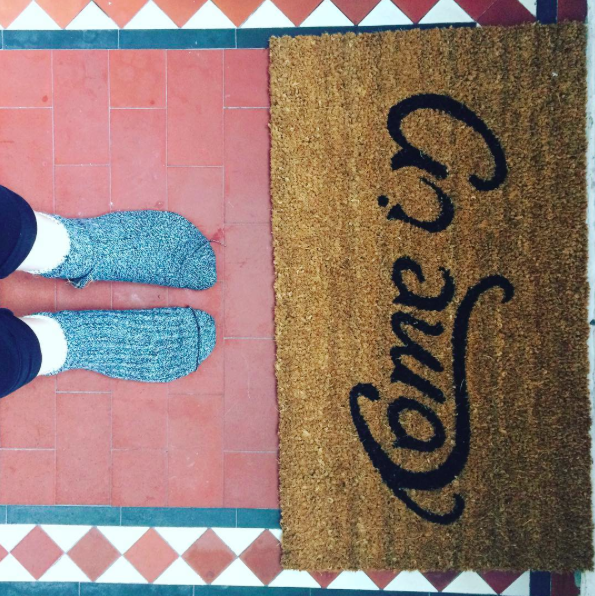 We have got loads of amazing items for the house, an old GPO style phone, this cool 'come in/go away' door mat which I found on eBay and my 'acidic wit' jar buy my new favourite 'Vinegar and brown paper' which I picked up in Hebden bridge. We are currently waiting on a dining room table that we have had commissioned - it's being made out of old church pews. 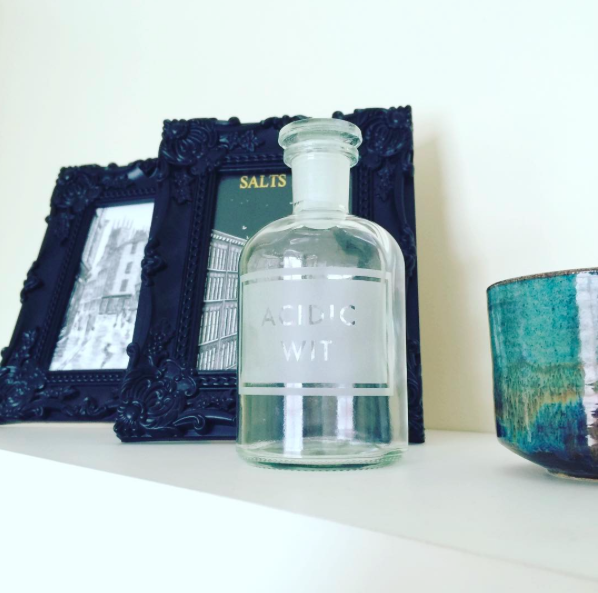 We have got most or our home furnishings on days out, from markets, small independent shops or outlets like boundary mill which are particularly good for the more practical items. We still have quite a lot of things to get which are some time off yet, either because they are extremely expensive or not a priority right now - but we are planning to add to our home as soon as we can justify it. 1. A pew, we have a dining room with a long empty wall and we want one to run along it and provide more seating, plus it will go beautifully with the dining table & chairs. 2. This is a long way off but I really want a chiminia or a fire pit for the garden. We have a small enclosed garden with some decking and chairs and I love it. I think a fire would be great as the nights get a little colder, I imagine it being really cosy sat outside next to the fire on a autumn evening. Maybe not this year but it's something I have in mind..
3. This is something I've wanted since I was a kid, globe lamps are actually really easy to get hold of and once the study has been painted and book shelves been put up I really do was to get a globe lamp in there! 4. We started off intending to get a wing back chair to go with the sofa in the lounge but the longer we look around the more we are starting to lean towards this club chair. This is really my boyfriends chair so he will make the decision but I think this one is really nice. 5. Obnoxiously big floor lamps are kind of my thing right now. I like this design I also like the ones that look like stage lights and the ones that look a little bit like telescopes. I'm rethinking that an obnoxiously big floor lamp will look really good next to the Club chair! 6. This screwed up paper bag is actually a porcelain vase, I've seen a few different design and in a few different places but the first place I saw this was in Saltire nearly 2 years ago. Saltire is a lovely little village with an old mill thats been beautifully converted into an art gallery, shopping space and restaurant - defiantly worth and visit and one of the first places I went with my boyfriend. So as you can see are taste is a little eclectic. Have you seen anything you like? What do you think of the decor so far?